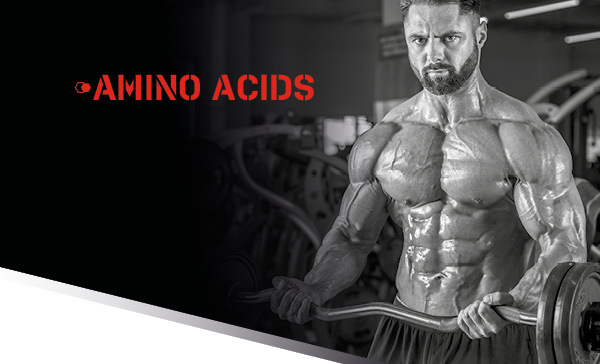 The amino acid L-arginine has the highest proportion of nitrogen from the whole spectrum of amino acids and is an important part of complex proteins. An appropriate protein intake can ensure the recovery and growth of skeletal muscles, provided that the nitrogen balance is maintained. 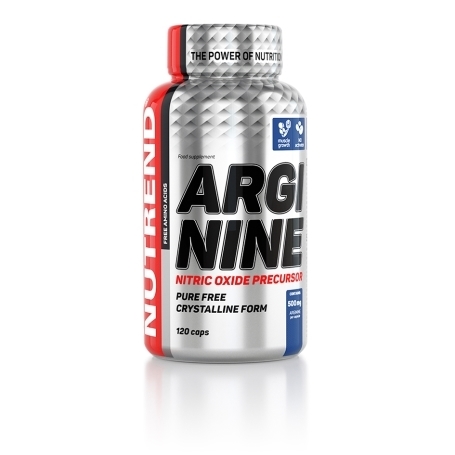 The amino acid L-arginine has the highest proportion of nitrogen from the whole spectrum of amino acids and is an important part of complex proteins. An appropriate protein intake can ensure the recovery and growth of skeletal muscles, provided that the nitrogen balance is maintained. Athletes seek this product in particular for the synthesis of nitric oxide (NO) and the associated better vasodilation. Vasodilation is the widening of blood vessels through which blood flow increases and it improves the supply of oxygen and nutrients to the muscles, which can then operate at a greater intensity. Recommended dosage: take 2 capsules immediately after training and 2 capsules at night before bedtime. The daily dose is 4 capsules (2000 mg arginine). Do not exceed the recommended dosage. WARNING: Food supplement, formulated especially for athletes. Does not replace a varied diet. Not intended for children, pregnant or nursing women. Keep out of reach of children! Store in a dry place at a temperature that does not exceed 25 °C and away from direct sunlight. Do not freeze. The producer is not liable for any damage caused by improper use or storage.